Marvel Studios and its parent company Disney have been pulling back on their association with Netflix, ahead of the launch of Disney’s own streaming service. As Netflix loses its licenses to stream Disney films, and cancels its interconnected Marvel shows (so far: Luke Cage, Iron Fist, and Daredevil, with The Punisher and Jessica Jones still awaiting word), Marvel is apparently forging a stronger connection with Hulu. News came out of the Television Critics Association uprights today that Marvel and Hulu will be partnering on four animated Marvel shows: MODOK, Hit-Monkey, Tigra & Dazzler, and Howard the Duck. The plan apparently calls for all four series to cross over in a special called The Offenders, much as Netflix’s Marvel shows crossed over in the limited series The Defenders. 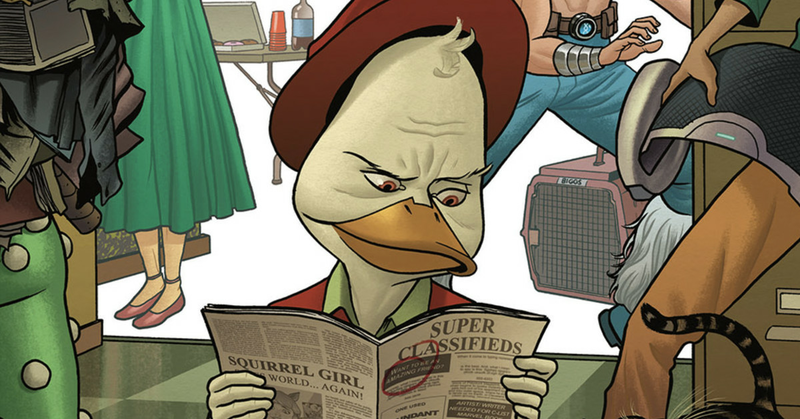 Of the four series, Howard the Duck — based on a character created by Steve Gerber in 1973, and previously made into a deeply derided 1986 live-action movie — is likely to be the most familiar property for casual audiences. Filmmaker Kevin Smith and Aqua Teen Hunger Force and Squidbillies co-creator Dave Willis are signed to write and executive produce the show. MODOK will be written and executive produced by Jordan Blum and Patton Oswalt. Marvel TV head Jeph Loeb will oversee all four animated series. No timeline has been released for the shows, but given the long lead time on animation, it’s unlikely any of them will premiere before 2020.